I hope you are enjoying your gardens and this beautiful August weather! Wanted to share with you a few of the classes, courses and field trips being offered in September by the New England Wild Flower Society’s Education Department. The September 17th Native Gardens class in Newton looks interesting to me. Seems like a great way to learn more about gardening in small spaces. Perhaps I’ll see you there! For information on all the courses, visit http://www.newenglandwild.org/learn. Native Gardens in Newton, Newton, MA. Instructor Risa Edelstein helps us learn how a landscape designer working with urban properties and their sustainably- minded owners can create enticing native gardens in small spaces. The first garden we visit, situated around a Victorian house, received a front yard overhaul, which was achieved by removing lawn and creating a habitat garden by adding many natives with four-seasons of interest. The second homeowner wished to make her garden as eco-friendly as possible, reducing its carbon footprint, reusing materials and creating habitat for wildlife. A walkway of recycled brick was installed, rain gardens improved drainage around the existing edible garden, and 100-year old recycled seawall blocks were installed as sitting walls. Shrubs from the front of the property were replanted in the back and a mostly native woodland garden was created under a red maple. Fee: $22 (Member) / $25 (Nonmember). Pre-registration is necessary, contact the registrar at 508-877-7630, ext. 3303. Tuesday, September 20, 2011, 10 a.m.-1 p.m., Wildflowers in Fall, Garden in the Woods, Framingham, MA. As a follow-up to our spring course, “Wildflowers of New England,” instructor Neela de Zoysa highlights flora in the last stages of the growing season. What fruits have been produced by spring wildflowers and how are they dispersed? What flowers are blooming in the fall and why? Which pollinators are active? The program includes a walk in the Garden, a power-point presentation to illustrate the key points, and samples for dissection and close observation. References for fruits and winter ID provided. Fee: $36 (Member) / $43 (Nonmember). Pre-registration is necessary, contact the registrar at 508-877-7630, ext. 3303. 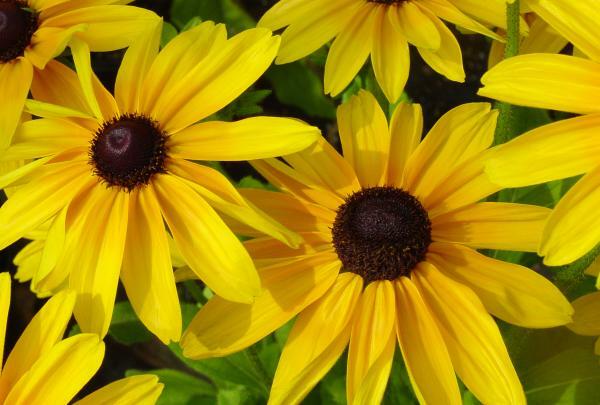 Tuesday, September 27, 2011, 7-9 p.m., Design a Native Mixed Border Garden in the Fall, Garden in the Woods, Framingham, MA. Your border garden can have four-seasons of beauty! Take advantage of ideal fall planting conditions to establish borders filled with native perennials, shrubs, vines, and small trees. Horticulturist and landscape designer Laura Eisener discusses how to artfully combine a variety of beautiful plants, and illustrates basic design principles you can apply to planning and planting a mixed border of any size and shape. Fall bargains abound in nurseries, and this is an ideal opportunity to begin fresh or redesign existing border areas in your garden. Fee: $26 (Member) / $32 (Nonmember). Cosponsored by New England Wild Flower Society, MA Audubon Drumlin Farm, and The Landscape Institute. Pre-registration is necessary, contact the registrar at 508-877-7630, ext. 3303.